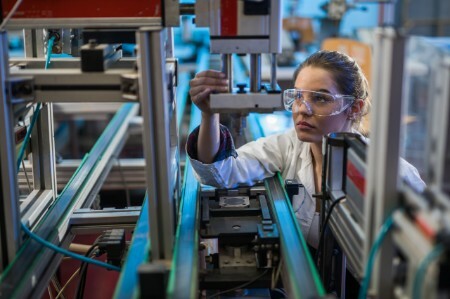 Manufacturers must evolve business models, connect products seamlessly utilizing digitization and adopt a customer-centric mindset. With fundamental shifts in the advanced manufacturing landscape, companies are developing innovative business models to keep up with changing demands and ongoing disruption. Digitization is forcing manufacturers to reinvent their supply chains to fully realize the benefits of a connected ecosystem and improve operational efficiency. Given the changes in this industry landscape, the risk universe has a ripple effect for chemicals, industrial products, aerospace and defense companies; risks cut across the entire enterprise, and may limit technology integration. EY teams take an enterprise approach to help you to seize the potential of digital to fast-track productivity, optimize portfolios, overcome talent gaps and set a clear road map for smarter manufacturing. Supply Chain Reinvention helps clients effect a fundamental change in their performance to support sales growth, become more cost-competitive, minimize risk and improve operational resilience. Additive/3DP, also known as additive manufacturing, is driving a new era of production.